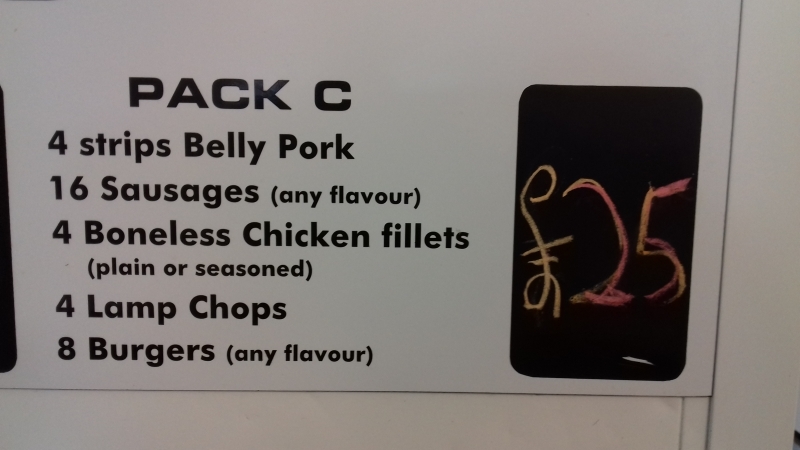 4 strips of beLlysfaen pork. 16 sausage. 4 boneless chicken fillets. 4 lamb chops. 8 Burgers.